As one of the world’s largest countries, Brazil is an immensely varied and interesting destination to explore at great length. In a continent renowned for its plethora of natural and cultural attractions, Brazil can be said to stand alone for the sheer amount of highlights it offers adventurous tourists. 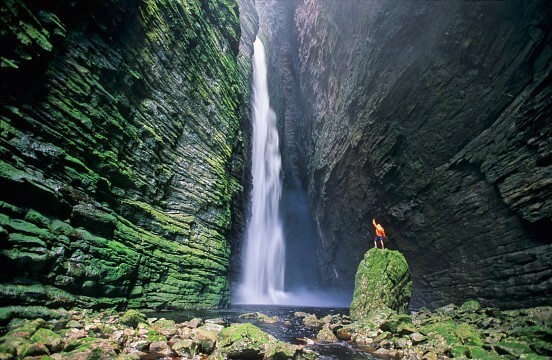 So it boasts no huge mountain chain, and has no match for Machu Picchu, but when you own a vast majority of the phenomenal Amazon Rainforest, a coastline brimming with superlative beaches and the most varied cuisines of all, then you can afford to hold your head high. After all, you still have Iguaçu Falls on your side and host the Brazilian Carnival , the reputed biggest and best party in the world. Boasting a rich history and abundance of both natural and cultural highlights, Brazil offers a plethora of very unique experiences for visitors of all ages and tastes. Whatever it is you’re after, it’s highly likely that Brazil will deliver with gusto. 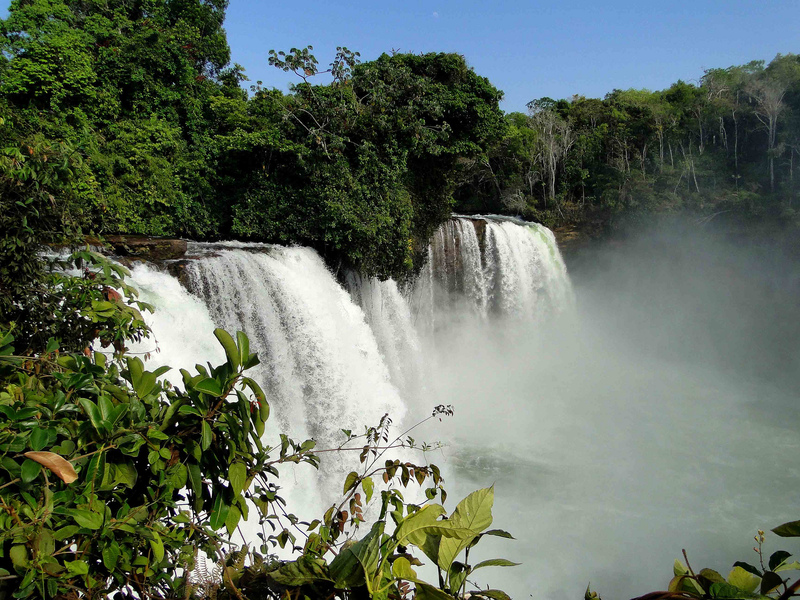 Party your way from Rio de Janeiro to Florianopolis, get lost in the impenetrable jungle of the Amazon Rainforest, be awe-struck at the sheer magnetic beauty of Iguaçu Falls and go on a search for elusive jaguars in the vast expanses of the Pantanal, the world’s largest tropical wetland. There are many aspects which differentiate Brazil to all other South American nations, and much of this has to do with the fact that it was colonized by the Portuguese, rather than the Spanish. Back in the early 16th century, when the first Portuguese sailors landed on the crystal clear eastern shores of Brazil, the country was inhabited by millions of indigenous Indians. Contrary to Spanish colonial pursuits, however, the Portuguese showed very little interest in actually conquering the natives and were mostly only concerned with their own subsistence living and the setting up of trade and farming co-operatives. This led to an unparalleled phenomenon in the continent, which was a healthy number of inter-racial marriages. Whilst the Spanish took to literally exterminating the Incas it met along the way in Peru, the Portuguese took to marrying and living alongside the indigenous Brazilians they met. Once the sugar cane industry boomed into existence, and the first wave of African slaves were brought over to work, this attitude of assimilation continued. Africans and indigenous tribal members likewise married and set up families, as they did with the Portuguese, creating an exceptionally unique society. Fast forward 500 years and what you find is the single, most multi-cultural country in the whole continent. Everything about Brazil and its culture reflects the multi-ethnic nature of its ancestry. From the religious practices, to the cuisine, the architecture and even physical attributes of modern-day Brazilians; all of these things manifest interesting influences from European, African, Arabic and Asian cultures. Together, they all combine to make this one of the most interesting countries in Latin America. Of course, there are still plenty of signs that we are, indeed, still in South America. Corruption is quite rife here, especially at government levels; petty theft is common, overpricing for tourists run off the mill and a distinct lack of organized infrastructure, painfully obvious the moment you step out of the big cities. Nevertheless, for the millions who head here every year, this does nothing to dampen the appeal. Rightly so. It’s not all that surprising to hear that most people believe Rio de Janeiro to be Brazil’s capital. For all intents and touristic purposes, it really is. 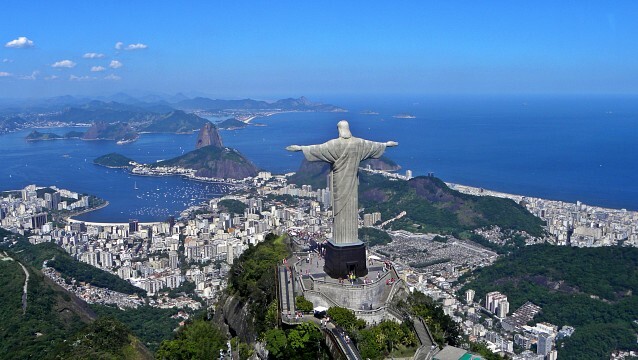 Home of world famous sights such as Christ the Redeemer, Sugarloaf Mountain, Copacabana Beach and Ipanema, Rio is a formidable holiday destination and reason enough to visit Brazil, even if you never step out of its parameters. Spend days on its revered beaches, hike up to the Cristo Redentor, paraglide off Corcovado Mountain, explore interesting favelas , shop till you drop and feast on its abundance of international treats on offer. 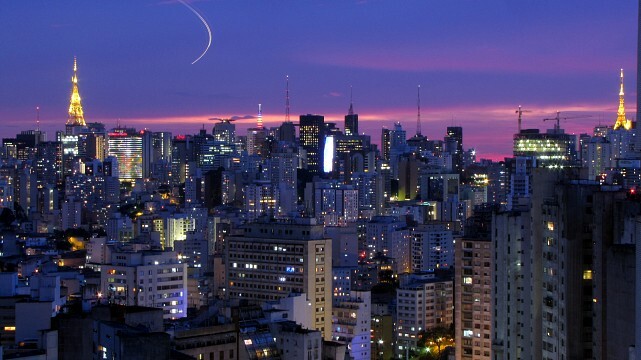 Brazil’s most populated city is one of the most intimidating metropolises you’re ever likely to visit. This gargantuan city of almost 20 million isn’t just big, loud and overwhelming in South American terms, but in much broader, global terms too. Its sheer size, and the almost excessive sensory overload it provides, acts as a deterrent for many who visit Brazil on vacation. 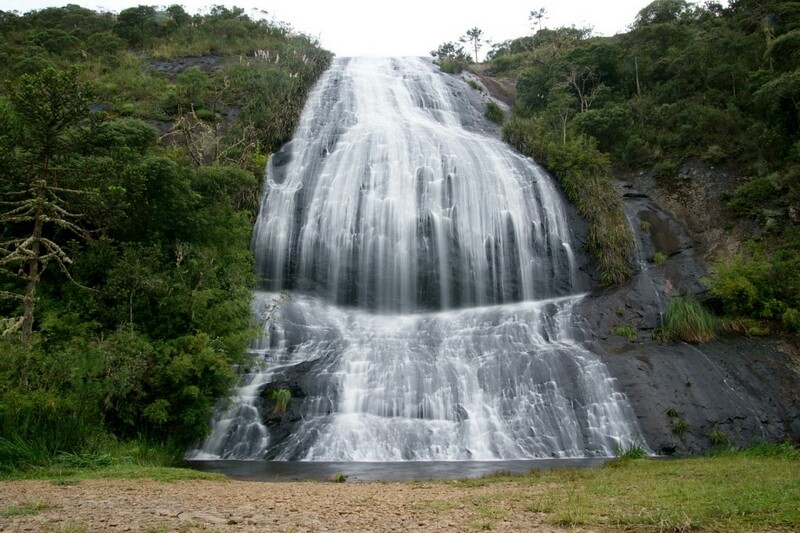 After all, despite its size, São Paolo doesn’t really boast must-see attractions. While skipping a stop-over is a perfectly acceptable tactic should you just have a short time on your hands, this incredible city does have a magnetic force that’s hard to beat. Anywhere. Home of the largest gay community in South America, as well as its most effervescent nightlife, unending array of top-notch restaurants, theaters, museums and bars; São Paolo does make for an unforgettable cityscape. If you think you have the stamina to keep up with it, then by all means include a few days here and get blown away by its phenomenal essence. 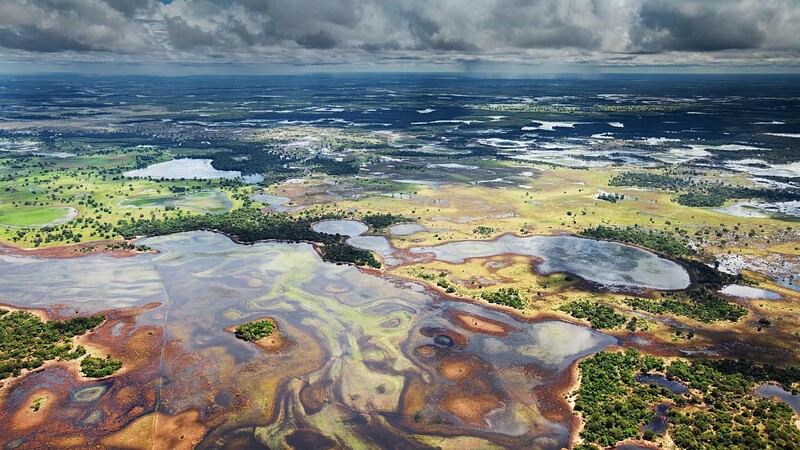 The world’s largest tropical wetlands, Pantanal, are found in the Mato Grosso do Sul state of western Brazil, bordering Bolivia. This is one of the country’s most precious natural wonders and the one which attracts the most amount of visitors every year, thanks to it offering much greater chances of wildlife spotting than the nearby Amazon region. Trips into the Pantanal by road can only be arranged at certain times of the year when water levels are low. During rain season, the only ways to get into the heart of this incredible region is either by plane or motorboat. Campo Grande is the best base from where to organize your expeditions to the southern section of the Pantanal, and Cuiaba’ for the northern section. Note that bus trips to these cities last about 20 and 30 hours respectively, so if you’re short on time, it is best to fly. The most often-sighted fauna here are caimans, capybaras, otters, piranhas, as well as an obscene amount of birds including macaws and, with a bit of time and luck, even jaguars. This is actually the best place to spot a jaguar in the wild (between June and November), as their options for thick covering foliage is quite limited. Brazil’s Amazon region is one of the most fascinating places on earth and a wonderful spot in which to completely disconnect from the outside world. The planet’s most bio-diverse area is home to an estimated 2.5 million different species of insects, 200 mammals, two thousand fish, almost a thousand endemic birds and over 200,000 indigenous tribe members. Your chances of seeing many of these are quite limited thanks to the thick, often impenetrable tropical landscape, yet swimming with pink dolphins and spotting lazy sloths are almost guaranteed. Organize your Amazon trip from Manaus, which will include staying in a lodge embedded in the forest, and take daily walks and boat rides along smaller river tributaries, where animals are much easier to spot. Iguaçu National Park is perhaps the most breathtaking natural sight in the entire South American continent, and one of the most unmissable sights in all of Brazil. Found on the country’s border with Argentina and Paraguay, the world’s largest waterfalls may be a hassle to get to, but all efforts made are rewarded a hundred fold by one of Mother Nature’s most awe-inspiring spectacles. 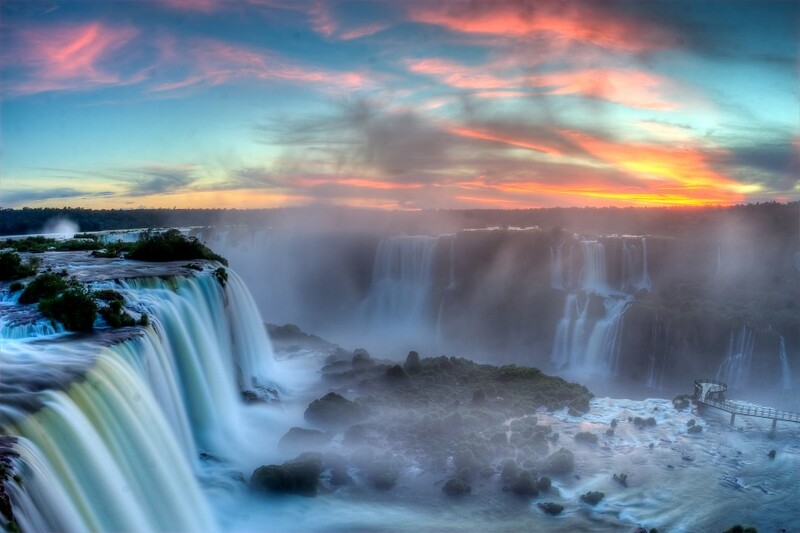 Head to Foz do Iguaçu and base yourself here for at least three nights, and you can take in the best views of the falls from both the Brazilian and Argentinian sides. The north-eastern state of Bahia is Brazil’s culture hub and boasts a rich history dating back more than 500 years. 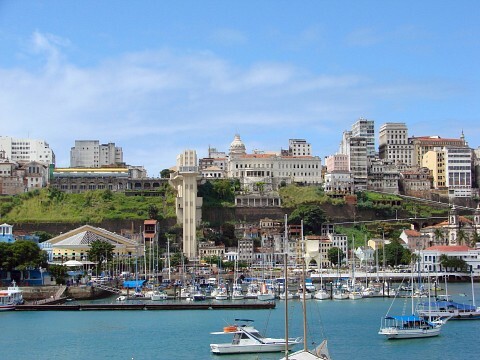 The stunning architecture of its capital, Salvador, and its incredibly important history (this is the spot where African slaves first set foot in the country) makes it a very enticing destination for anyone who wants to delve deeper into the history of this very complex nation. 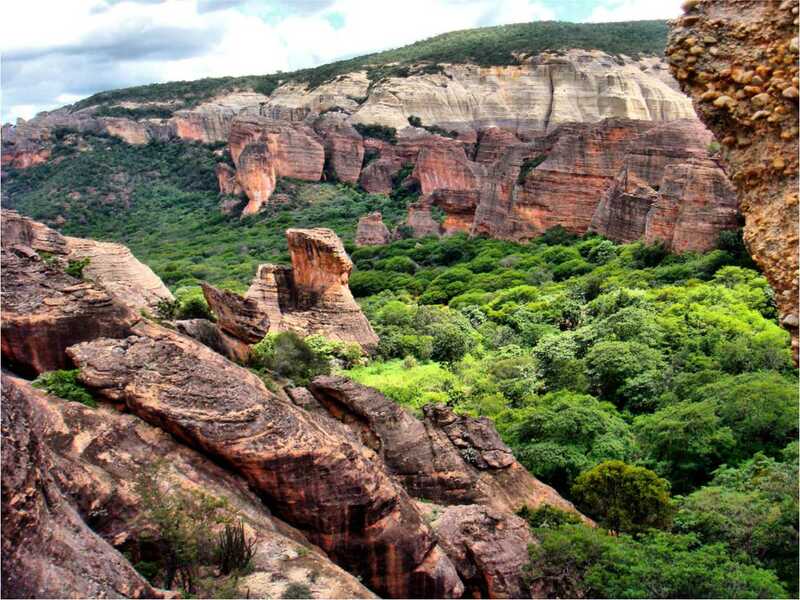 Nature lovers will also not be disappointed, with Bahia offering a vast array of sparkling beaches, whale-watching and scuba diving spots (in the Parque Nacional Marinho de Abrolhos) as well as rewarding hiking opportunities in the stunning Parque Nacional da Chapada Diamantina. If hard pressed to recommend just one ideal city to explore in Brazil, aside Rio of course, Salvador de Bahia would probably be our top pick. This pocket of delightful gorgeousness has a little bit of the best the country has to offer and, due to its diminutive size (in fairness, only compared to Rio and Sao Paolo), it is an infinitely enjoyable city in which to spend quite a few days. This is the cultural hub of the country, where it is said that African traditions have most retained their authenticity. The historic center, Pelourinho, a stunner of UNESCO worthy heritage, is one of the oldest colonial hubs in Latin America, and is accosted by long stretches of excellent beaches. 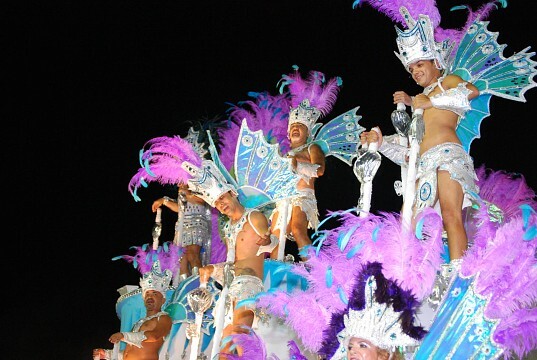 Salvador is renowned for its laid back fiestas and for hosting the largest carnival in the country. 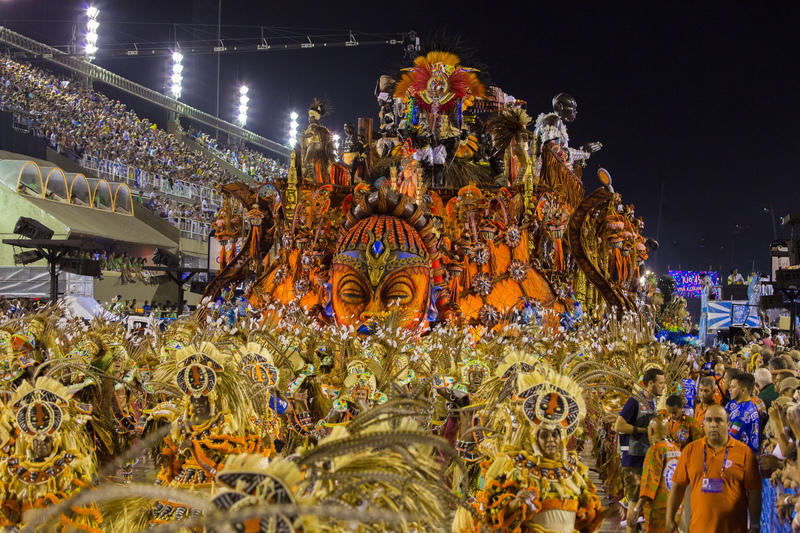 Whilst Rio’s yearly bash is now held in a stadium, the carnival in Salvador is still paraded where it was always meant to, through the streets of the city. If you’re after a more organic and authentic Brazilian city stopover, then do include a few days in this captivating hub. 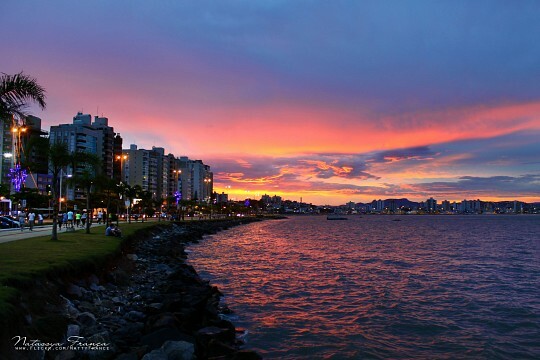 Often referred to as Brazil’s Ibiza, Florianopolis is a revered party and beach-bumming hub which is über-popular with locals and visitors alike. It may not actually be the country’s most unforgettable destination (and this is definitely true if you’ve already visited the Pantanal or Amazonas) but this town on Ilha de Santa Caterina island is easily accessible, boasts 42 beautiful beaches and a very boisterous nightlife, not to mention striking architecture and exceptional food. Florianopolis’ popularity is certainly no big shock to anyone who visits. Brazilian beaches are renowned as some of the world’s most idyllic, although if you were to only take a step onto the beige, gritty sand of Rio’s Copacabana Beach you may be left wondering what all the fuss is about. Fact is, beaches in Brazil really are as dreamy as you’ve always imagined them to be, only to see those beaches you must get far, far away from any of the major cities. Ilha Grande is the epitome example of the mind-boggling difference between Brazil’s mainland and island beaches. This insanely stunning islet has a rather unsavory past, having been a pirate hideout, leper colony and penal hub for most of its modern life. The silver lining is that all of this has kept mass developing at bay, and this natural haven of virgin rain forest and aquamarine waters is simply ideal for all nature lovers who don’t mind roughing it out for a few days. Conveniently located at the half-way point between Rio de Janeiro and São Paolo, Ilha Grande is an easy hop from either cities. Spend a few days soaking up the rays on the breathtaking and endless stretch of Lopes Mendes Beach and that skepticism will be a thing of the past. Adjectives like stunning and breathtaking are thrown around quite a bit when describing the beautiful beaches found on Brazil’s islands. 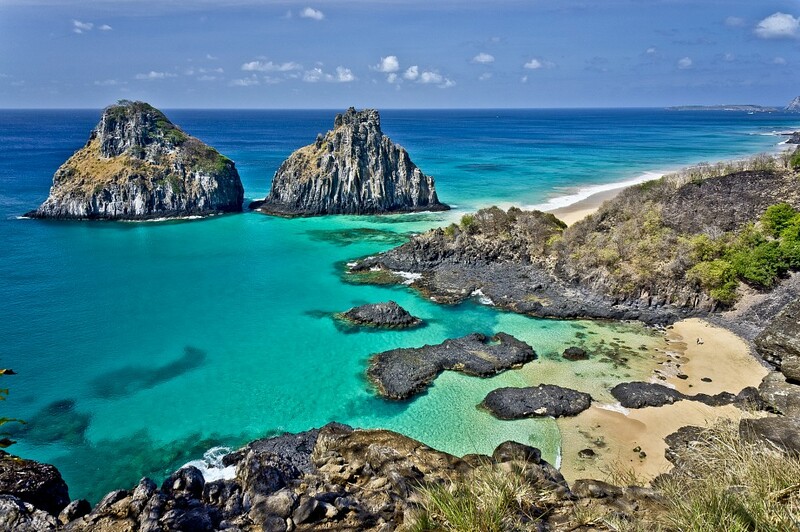 Yet if forced to choose, we’d probably accumulate all of the most superlative adjectives and use them only once: to describe Fernando de Noronha Island. This fiercely protected marine wildlife haven is one of the hardest to reach nooks in all of Brazil, located off the north-eastern coast; where visitor numbers are restricted and prices are rather eye-watering. Yet when it comes to experiencing that picture-perfect Brazilian utopia, all efforts, and expenses, are well worth your while. Of the country’s top five beaches regularly awarded accolades, three are just here. Pristine, unspoiled and mesmerizing, Ilha Fernando de Noronha would make for an absolutely ideal last stop on any Brazilian vacation. A charming stop-over along the country’s Romantic Route (Rota Romântica ), Gramado is an incredibly unique town which would look much more at home among the verdant hills of the European Alps. Originally settled by German immigrants, this delightful village is a very unique sight in Brazil and offers a lovely change of pace, scenery and tastes. 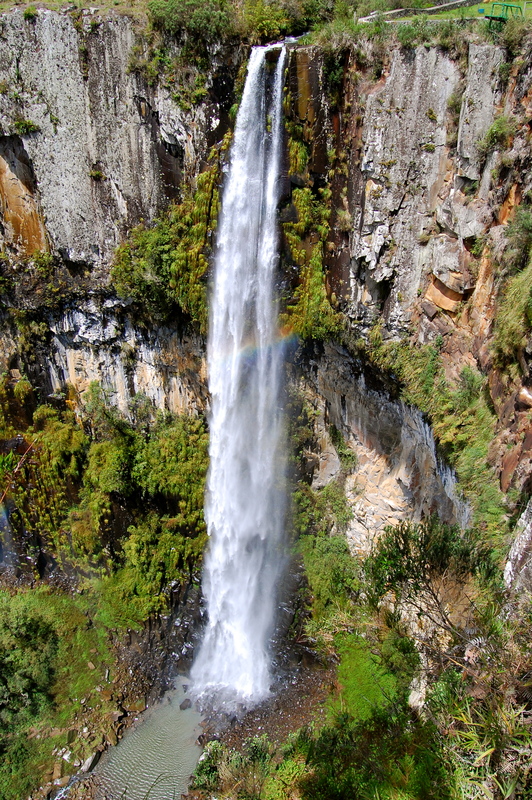 Gramado is home to the country’s largest and most important film festivals, gorgeous German architecture and some of the best international food in the whole country. Brazil’s culture is as varied as its landscape and although it would seem ludicrous to generalize a population of over 200 million people, it would still be fair to say that Brazilians are a passionate, religious, extroverted and very easy-going lot. The great majority have an insane obsession with music, dancing, football and soap operas, and all count the love of family and friends among life’s most important priorities. Out of all the South American cultures, it would not be a stretch to state that Brazilians are arguably the friendliest to tourists. However, they do get a bit antsy if you assume that they all automatically understand Spanish. They all do, of course, but this seems to be beside the point. Do earn a few Portuguese greetings and, if you must, best try to communicate in English before bringing out the Spanish guns. Locals here are very tactile so don’t mistake that for sleaziness or opportunism. Girls will usually kiss on the cheek even on first meeting and hugs are shared among men and women alike. Should you make a new friend on the beach during the day, and make plans for meeting again, don’t be surprised if you find yourself on the receiving end of a firm hug. One of the most endearing aspects of Brazilian culture is the people’s incredible ability to enjoy life, every minute of every day. This is the only country where you could be riding in the metro at peak hour and, all of a sudden, witness someone initiating a spontaneous singing and dancing session. This is, by far, the most mesmerizing and unique aspect of this most enticing country. Brazilians love life, love partying and love sharing their passions with everyone around them. If you’ve never danced the samba in a subway before, this would be a great place to start! One of the fastest growing economies in the world, Brazil is a powerhouse of natural resources and boasts formidable manufacturing and agricultural sectors. It is the world’s largest producer of coffee (and has been so for a century and a half) and one of the largest in car manufacturing. Tourism plays a big role in regional economies, but as a whole, only accounts for a relatively small portion of its GDP, however this has been increasing sharply over the last few years. Unfortunately, much of the country’s prosperity has come at high costs to the environment and, in particular, the Amazon Rainforest. In contrast, the country is also completely self-reliant on energy consumption, and a great majority of it comes from renewable sources. Brazilian cuisine has been influenced by many cultures over the centuries and is, nowadays, an eclectic mix of Caribbean, European, African and Asian tastes. Generally speaking, there’s nothing particularly unique offered that you won’t find anywhere else in South or Central America. That said, portions here are about twice the size (and fat content) than you’d find anywhere else too. Brazilians absolutely LOVE their food; they love to eat a lot of it and, if it can be triple fiend in pork lard, then all the better for it! These are just some of the specialties you ought to try when visiting Brazil. All major cities offer a kaleidoscope of international cuisines, as well as the best quality churrascarias in the country. A churrascaria is a traditional Brazilian BBQ restaurant, where different types of meat are barbecued over coals and served off ginormous skewers. This is the most exported ‘typical Brazilian dish’ you’ll find abroad and one of the most popular meal choices for carnivorous tourists. This rice, pork and black bean stew would have to be the most ubiquitous dish in the country and the only found in every nook and cranny. This is one of the most revered dishes here and also one of the most complicated and time-consuming to make. For some odd reason, fejoada is something locals go out to enjoy on Saturdays and Wednesdays only. Found all along the coastal regions, moqueca is a delectable fish stew cooked in either a rich coconut milk sauce (in north-eastern Brazil) or a much lighter, tomato-based sauce (in the south). These are Brazil’s version of more known empanadas (pastry pockets) except there they can be filled with anything sweet or savory (including fish, chicken or cheese) and fried instead of baked. In a part of the world where the ham & cheese combo reins supreme, here you’ll enjoy the most sensationally tasty ham & cheese toasty you’ll ever savor. Why does it taste so good? Because it’s fried, naturally! An exceptionally delicious baked pie filled with chicken, corn, palm hearts and olives. If you’re an adventurous gourmand and wish to try a little bit of everything, then don’t miss local buffet restaurants which offer both rodizio (set price for all you can eat) or por quilo, where you pay per weight. Simply load up your plate with your desired treats and pay at the counter (where the plate is weighed) before you feast. The high season in Brazil is between Mid-December and just after Carneval in February/March and, although people would normally tend to shy away from holiday peak times when travelling, this is actually when you’ll see this country at its very best. The festive moods of both Christmas and Carnival are extremely contagious and enticing. The entire country literally stops to celebrate, party and dance, and if this is a side of Brazil you want to experience then you’d be in for a treat. Brazil may be a gargantuan country, yet its close proximity to the tropics means that hot and sticky is pretty much the order of the day, no matter where you go. Funnily enough, the high tourism season actually coincides with the rain season here, yet showers are normally seen as a lovely reprieve from the oppressive heat. The great aspect of this never ending tropical heat is that no matter what time of the year you chose to visit, you can always pack your swimmers. The coastal regions are hot and lovely all year long, with an average temp of about 81 °F. The Pantanal and Amazon regions boast very little changes throughout the years, and heavy afternoon storms can be expected at any time. The very south of the country is the only place where you can expect to experience quite chilly winters (June to September) with single digit temperatures being the norm in the far south. 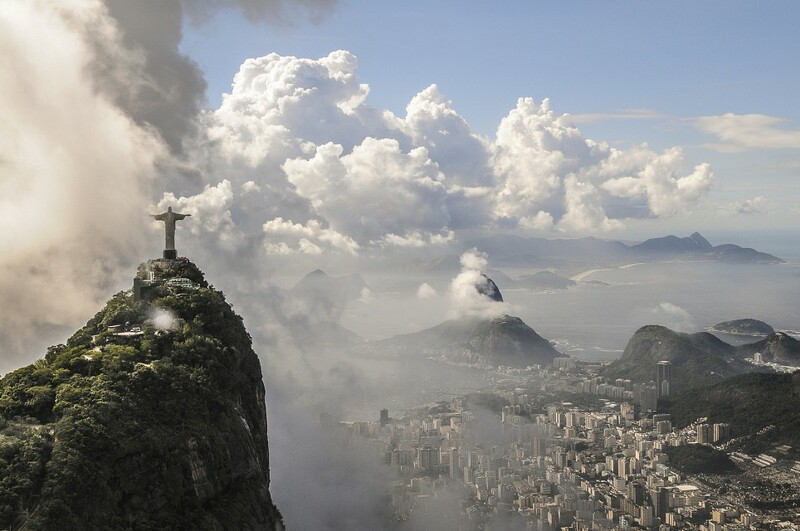 Rio and Sao Paolo boast very similar climates, with winters which resemble mild European summers. The two most popular ports of entry into the country, and its two largest airports, are in the cities of Rio de Janeiro and Sao Paolo. There are direct flights from North America, Europe and Africa, while passengers hailing from Asia and Australia are re-routed first to either Buenos Aires, or Santiago. Domestic flights from either Rio or Sao Paolo are both abundant and quite affordable, considering the distances. Road transport is not as popular here as in neighboring Argentina, Bolivia and Peru and much of this has to do not only with the sheer size of the country, but also its lack of major road infrastructure. Train travel is negligible, so unless you have a lot of time on vacation, flying between hubs of interest may really be your best option. Within city boundaries the picture changes quite a lot. Brasilia, Rio, Salvador and Sao Paolo all boast an extensive public transport system (including metros) and taxis which are inexpensive. Although there are plenty of bus and mini-bus (collectivos) services in cities, tourists are discouraged from utilizing them due to safety reasons. Brazil boasts a rather unhealthy crime rate and this is, without a doubt, one of its biggest downfalls. It pays to note, however, that unlike what most mass media will have you believe, the great majority of crime is never directed at tourists. This is very much a home grown problem, so no matter what you’ve read or heard, places like Rio are no more dangerous to visit than major cities New York, Rome or London. It pays to be vigilant but one certainly need not be paranoid. Take taxis and avoid public transport at night and know where you are headed. Everyone’s home town has a dodgy corner and the only trouble you’d ever have is if you inadvertently strolled into Rio’s, at 3am, on your own. Don’t visit touristy places like Corcovado or Ipanema beach with a wad of cash in your pockets, and only ever walk around the city with small amounts of money at a time. Opportunistic pick-pockets, rather than gun-toting bandits, will be your biggest annoyance here. When needing to withdraw cash, do so at an ATM located within a bank’s branch office. The rest of your behavior should reflect the fact that you, as an affluent foreigner who can afford to go on vacation, are visiting a country where poverty levels are staggering and the inequality between haves and have-nots is mind-boggling. Act accordingly (dress casual and leave the bling at home) and you should have no problems at all. Reports of muggings and attacks make international headline news almost immediately, yet few think of the millions who visit Brazil every year without suffering a single hassle.